Join us and Be Fido’s Friend for some good Italian food and fun while celebrating the adoption of Sir Enzo Cavatappi "Tappi" n/k/a Dougal. While the adoption fees for BFF’s adoptable dogs cover the most basic of vetting, dogs such as Tappi need the extra help that Bialy’s supplies. We are so appreciative of their partnership in saving these special pups with mobility issues that we’d like to give back. We hope that with this fundraiser we can do just that, celebrate Tappi’s adoption and cover some of the enormous expenses Bialys contributed to save his life. So Bring Your Furry Friends & Join Us for Some Italian fun! 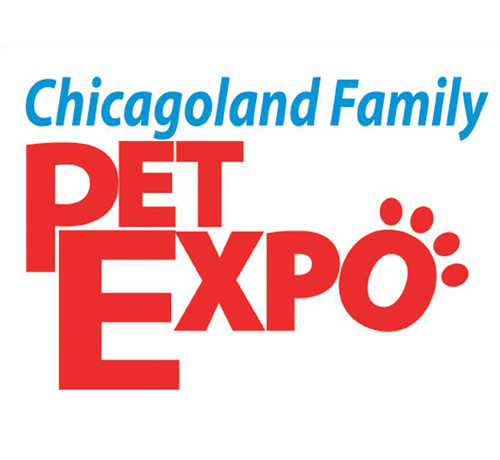 Come visit us at Booth 230 at the annual Chicagoland Family Pet Expo in Arlington Racetrack. Save the date! More info to come. Come enjoy a relaxing day and learn more about keeping both you and your pet calm in a world that can be so stimulating and overwhelming. We will have experts from various areas of wellness talk about their respective fields including: relaxation protocol, massage therapy acupuncture, essential oils, and Reiki (energy healing). Enjoy delicious food and drink, mingle with like-minded individuals, bid on fantastic (and relaxing) silent auction prizes and get puppy kisses from BWF sponsored pets Jack, Gertie (Avocado), and Tshirt (#BabyTee). Licensed Massage Therapists will be on site performing chair massages. As an added bonus, the first 20 people to purchase a ticket will receive a goody bag! Ticket price includes: entry, bites, beer, wine, non-alcoholic beverages and 2 raffle tickets for a Relaxation Themed Basket valued at over $350! Tickets will be available for $50 at the door. Please note this is a humans-only event. Join us in raising money for a great cause!!! A $10 donation gets you 2 hours of BINGO and countless chances to win great prizes!!! All BINGO proceeds go to Bialy's Wellness Foundation....COME PLAY BINGO for BIALY'S!!! We are excited to team up with Helping Paws again for an online auction featuring new and like new items! All proceeds benefit pets in our sponsorship program. Link to the live auction site coming soon! Shop for the Holidays and support local animal rescues and foundations including BWF! 100% of the proceeds will go to us! Save the date. In addition to our cool merch, BWF will be selling candles, Josh stamped wooden air fresheners, pet ornaments, infinity scarves, and more! Join us at Cantigny this year for their Dog Days fest on Saturday, August 4, 2018 from 10am - 4pm. 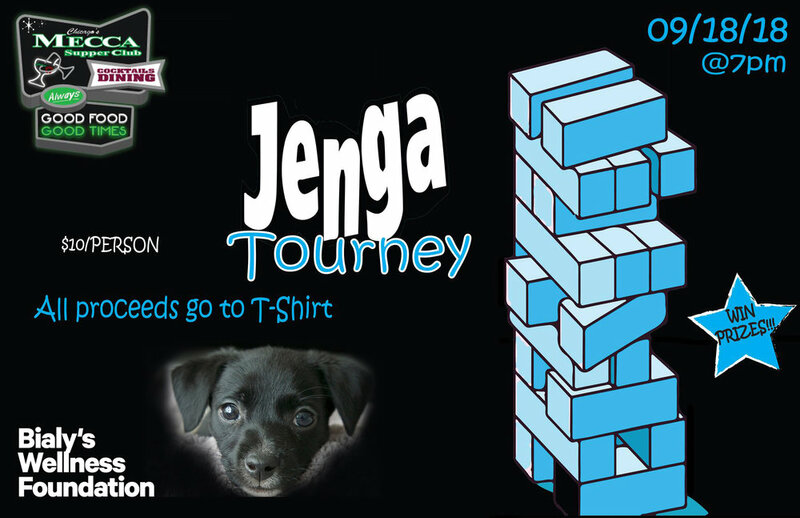 We will be there with some BWF merchandise, a few of our sponsored pets and will be raffling off some items! Begyle Brewing Co. Fundraiser & Avocado's 1st Birthday! Join us at Begyle Brewing on Sunday, March 4th from 1-4pm. The event will celebrate Avocado's 1st Birthday and help BWF continue our mission to provide families and rescue organizations with special needs animals the equipment, medical care, rehabilitative therapy, training, resources and support necessary to optimize the quality of life of their wonderful animals. The afternoon features Begyle Brewing Co. beers, wine, food, raffle prizes and a silent auction. Price includes 2 raffle tickets, unlimited beer, wine and food for 3 hours. Space is limited so get yours today. In addition you can use coupon code "JOSHBWF" for 10% off. For every 10 codes used Moxino Collars donates a collar to Bialy's Wellness Foundation. It's a win, win! Begyle Brewing and Mutt Jackson are teaming up to host the second annual Barking at Begyle Pet Costume contest! A photo of each pet in costume will be posted in an album on facebook and the animal who gets the most likes, wins! The winner will be announced at noon on Halloween, October 31! This year President & Founder of BWF, Erin, turns 35 and she is hoping to make it a very powerful number. Most of you know that she has dedicated her more recent years to helping animals with special needs, starting Bialy 5 years ago and currently Josh the Pitbull - Special Needs and Happy who is turning 3 in June. Hence the importance of 3+5. She is asking that together we make 35 amazing by raising $3,500 for Bialy’s Wellness Foundation in the next 35 days. That means finding 100 of our generous friends, family and charitable social media followers to help by May 21st. We have teamed up with Helping Paws for an Online Auction again! We are collecting new and like-new items to be auctioned off between now and the end of February. The auction will go live March 15th and end on March 19th. During that time visit the auction page and bid on items. 100% of all proceeds will benefit Bialy's Wellness Foundation! Come learn more about Bialy's Wellness Foundation's mission and volunteer opportunities, purchase some great goodies to support our cause! Kriser's Bucktown is located at 1658 N. Milwaukee, Chicago. Join us at the 2nd Annual BLVD Vet Open House on Sunday, May 15th from 10am to 3pm. Stop by for a tour to see what goes on behind the scenes, and enjoy some Bang Bang Pie and refreshments! There will be a raffle with all proceeds going to benefit the Bialy’s Wellness Foundation—a local non-profit that specializes in providing care for pets with significant medical disabilities. Our spokesdog Josh the Pitbull will be present for a meet and greet! This month 10% of your Gift Card purchases for Pet Your Shirt will be donated to Bialy's Wellness Foundation! add a Gift Card to your cart, then go to checkout and pay for your purchase. after checkout, the photo upload form will pop up - go straight to the Rescue/Shelter section and choose Bialy’s Wellness Foundation to earn 10% of the purchase. you’ll receive an order confirmation, then a separate email with a link to the Gift Card code. you can print the Gift Card to give to the recipient or forward the email to them. During the month of October, a portion of all Stella & Chewy's sales purchased at The Barking Lot - Chicago will be donated to Bialy's Wellness Foundation! If you feed Stella & Chewy's or are looking to switch your pet's food to a healthy diet with a lot of protein variety and grain-free options, visit the Barking Lot in support of BWF. The Barking Lot is located at 2442 W. Irving Park Road, Chicago. Join us to celebrate the 1 year anniversary of Bialy's Wellness Foundation, a non-profit dedicated to helping animals with special needs. Festivities include food from Whisk as well as food to BBQ, drink specials, music, live raffle, silent auction, and MORE! Check back soon for updated lists of items available in the raffle and silent auction! A huge thank you to Whisk for generously donating food to the event! During the month of August, a portion of all Fromm Family Foods sales purchased at The Barking Lot - Chicago will be donated to Bialy's Wellness Foundation! If you feed Fromm or are looking to switch your pet's food to a healthy diet with a lot of protein variety and grain-free options, visit the Barking Lot in support of BWF. During the month of July, Fido to Go selected Bialy's Wellness Foundation as their #Charityofthemonth‬! 10% of the sales of the ‪#‎charitycookie‬ and all of the "charity tip jar" is going to be donated to Bialy's Wellness Foundation. The charity cookie can also be purchased and shipped directly to you! Join us in celebrating Josh's 1st Birthday at Archie's Bar on Sunday, June 28th from noon - 2pm. One of Josh's supporters has generously offered to cater deli sandwiches for his fellow fans - a suggested donation is encouraged and RSVP is appreciated to prepare accordingly. UPDATE: Drink special at Archie's from 12-2pm will be $3 vodka lemonade / bourbon punch! We will be collecting donations for Chicagoland Bully Breed Rescue andBialy's Wellness Foundation. If you are interested in purchasing a gift for the birthday boy, please check out Josh and CBBR's Wish List below. Josh will also be "pawtographing" his glamour shot photo for a suggested $5 donation! Please join us for an exciting night featuring a premium open bar, appetizers, and a live raffle drawing benefitting Bialy's Wellness Foundation! *All proceeds from the night go straight to helping incredible special needs animals receive supplies, therapy and resources necessary to optimize their quality of life. All instruction and painting supplies are included. Just bring a picture of your pet. No experience necessary! All raffle sales and $20 from each ticket go straight to helping incredible special needs animals sponsored by Bialy’s Wellness Foundation.